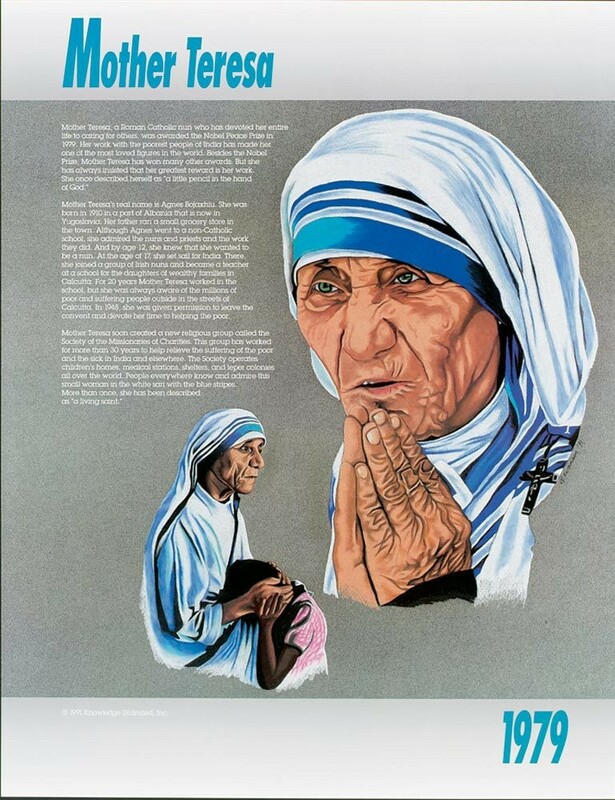 This educational poster features a striking image and biographical summary of Nobel Peace Prize winner Mother Teresa. 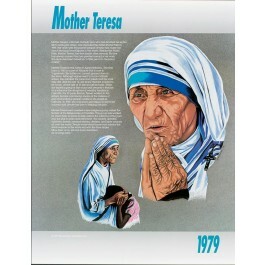 Mother Teresa won the Nobel Prize in 1979 for her work with the poorest of the poor people of India. This unique poster is a great way to introduce students to the work of an icon of history and one of the 20th century's most inspirational figures.